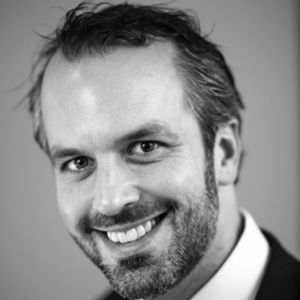 Speaking exclusively with ExchangeWire, Fredrik Borestrom (pictured below), president of the IAA, UK chapter, dares to speak about the word most people in ad tech are purposely avoiding: Brexit. Borestrom also discusses diversity in the British advertising ecosystem, and encouraging homegrown talent. 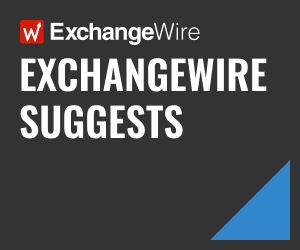 ExchangeWire: How do you think Brexit will impact the advertising industry in the short and long term? Fredrik Borestrom: Upon writing this, Brexit remains undefined – and, subsequently, so does its impact. Like every other sector, the advertising industry is unsure how to prepare for the multiple potential outcomes: as reflected by flat UK marketing budget growth in the latest IPA Bellwether report. If ‘no deal’ prevails, there are concerns of an economic downturn – with ad spend predicted to dip up to 3% – as well as short-term logistical issues. There are also suggestions that tighter belts might increase emphasis on performance marketing, as clients demand guarantees of return on investment. Meanwhile, options based on deals with other nations are being floated as ways to aid continuity and long-term stability. The future is uncertain; and advertising can only strive to sustain existing prosperity by continuing to deliver outstanding work. Specifically, how will Brexit affect the recruitment of talent within the advertising industry? 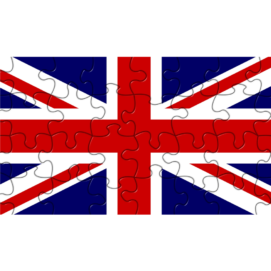 UK advertising benefits from a ‘virtuous circle’. Because it’s home to a diverse and high-calibre talent base, it attracts more business and a steady flow of new recruits that drives continual innovation. This is partly enabled by geography; proximity to wider Europe, the Americas, and beyond makes the UK an ideal base for international advertising. So, it’s not hard to see why many are concerned Brexit could break the industry’s cycle of success. Some fear restrictions on freedom of movement could mean reduction in both talent supply and appeal – with European citizens either unable to work in the UK or dissuaded from applying by complex procedures. This could, in turn, limit the capacity of UK organisations and agencies to offer multilingual and global services. But it’s essential the UK doesn’t lose its lure for creative minds from every nation. What steps can agencies take to mitigate the potential negative impact of Brexit? Over a third of revenue for the UK’s top 20 agencies is estimated to come from overseas; so agencies must start focusing on what they can control, as well keeping watch over the wider political picture. In fact, the Advertising Association has a list of suggested solutions, including: cross-border data flow, varied broadcasting channels, and a flexible migration system. But Britain can continue to entice local and global talent by keeping quality standards high, and highlighting the advantages of working in the UK. Agencies are great storytellers, so they are well-primed to develop messaging around the UK’s sterling reputation and excellent career possibilities. How can British advertising agencies ensure they maintain their unique, diverse culture, which produces extraordinary and memorable ads? British agencies are renowned for uniting a range of viewpoints, creative approaches, and expertise. To an extent, recruiting across Europe has helped to achieve this; London in particular has received high numbers of marketing and advertising migrants from the EU. But there is equally extraordinary talent available in other regions, such as the U.S. and Japan. And other factors, such as gender diversity, ethnicity, skills, and learning styles have a significant a role to play. For instance, the number of women working in C-suite positions at UK ad agencies has increased in recent years, but still rests at 32.7%. Individuals from black, Asian, and minority ethnic backgrounds have even less representation, at just 5.5%. Clearly there is progress to be made within the UK workforce itself. How can the industry encourage homegrown talent to take up roles in advertising? Effectively cultivating homegrown talent requires a multi-pronged strategy, starting with building awareness and capability. It’s just as important that UK-based talent understands the opportunities advertising affords as much as an international audience does. So, in addition to sharing industry triumphs and the advances of successful figures globally, self-promotional tales should be told at home – especially in academic institutions where they will reach the next workforce generation. Indeed, if combined with in-school training programmes or apprenticeships that offer practical experience, such stories can spark a passion for advertising within young talent. Secondly, we come to nurturing existing employees. Positive and attractive working environments are key to stimulating productivity and avoiding loss of talent to rival sectors seeking individuals with similar skills; prioritising internal development, career progression, and support is crucial. Why is a diverse workforce so important? A football team wouldn’t win many matches if it was made entirely of goalies. The same applies to advertising; diversity is essential for teams, and organisations, to thrive. Employees from different countries can bring unique cultural sensitivity and insight that help guide campaigns, and match messaging with regional nuances. In terms of capabilities and learning differences, a mix of perspectives can drive engaging, fresh concepts. It’s all too easy to create echo chambers where team members are on the same wavelength and consistently produce similar ideas. Consider the spectrum of abilities connected with neurodiversity. Research has shown that individuals with autism have notably high ability in large-scale data processing and analysis, while dyslexia is linked to excellent visualisation and problem solving. These are assets to all companies in the digital age, particularly advertising. How can the industry work to combat wider, ongoing issues within advertising, such disparity in salaries between genders? According to a report by WACL and LinkedIn, over half of those working in the media, marketing, and communications industry are female, yet – disappointingly – women represent just 36% of leadership positions. There are some promising signs as, over the past decade, the percentage of female employees within the sector has increased by 10% and the percentage of women in leadership has increased by 19% – a step in the right direction. But more sector-wide action is needed. The industry can only create a real meritocracy if fair pay becomes standard, and opportunities to progress are universally available. The report by WACL and LinkedIn advises agencies to self-improve by signing up to the TimeTo code of conduct, providing HR staff with unconscious bias training, creating gender-balanced recruitment longlists, or encouraging salary negotiation by disclosing salary ranges. Advertising needs to prove it is an industry that always rewards individuals according to their contribution, not their gender.